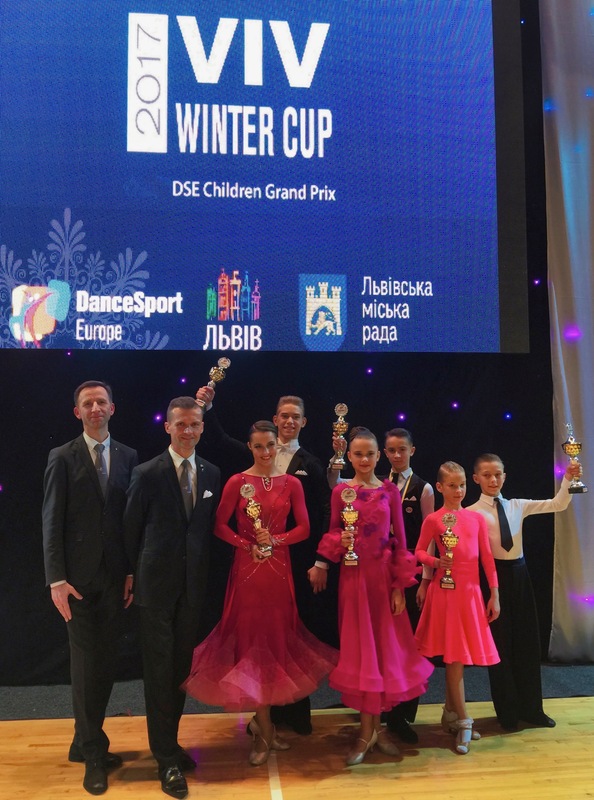 During last weekend in Lviv, Ukraine for the first time ever DSE Children European Grand Prix Trophies for 2017 season was presented. The overall winners were choosen according to the DSE Ranking Point System where the best 3 results from the last 12 months were counted. 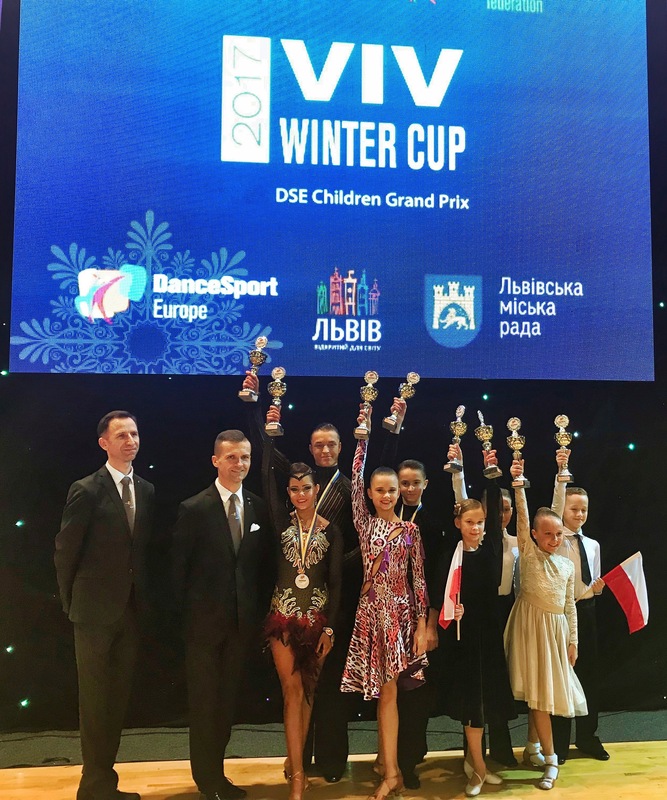 During this first season of DSE CHEGP 6 competitions were run in Juveniles and Juniors categories. We are very proud to the fact that around 600 couples from 28 countries were participated in that events. 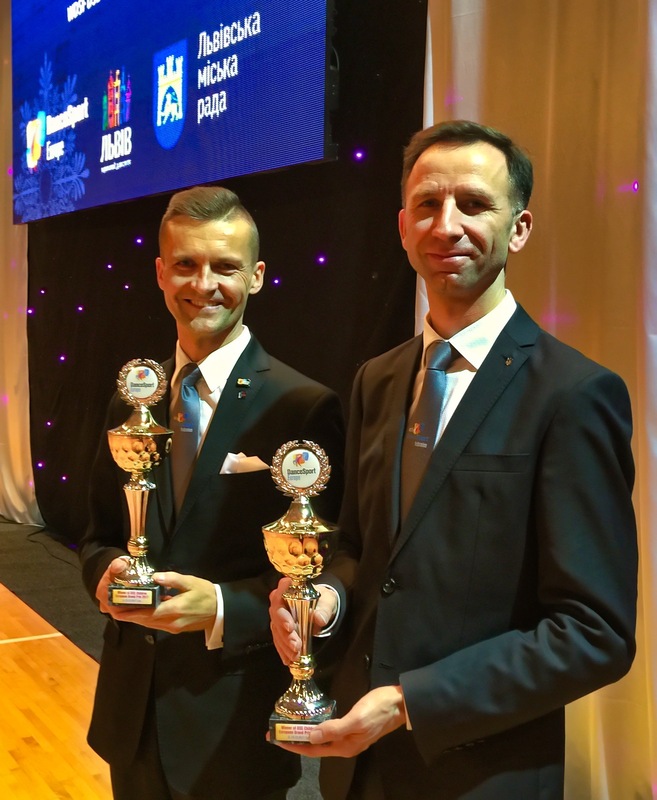 The trophies were presented by DSE Sport Director Robert Wota and All Ukrainian Dance Sport Federation President Andriy Polyvka.